Just a few days into the investigation, Detective Sergeant Vachris decided that there was no workable case against Troia or the four men who lived behind Catania’s shop. He began to explore other possibilities. One of those was provided by Catania’s son-in-law Dominick Tutrone, who spoke about it with a reporter from the Brooklyn Daily Eagle newspaper on Saturday morning. “What is your opinion of this murder?” the reporter asked. Tutrone indicated that Catania had lived a peaceful life for all of his two decades in Brooklyn. He said, however, that a vendetta could have arisen from some earlier incident in Catania’s home city of Palermo, Sicily. According to the Eagle, the “lots of talk” to which Tutrone referred was gossip relating to a Palermo offense allegedly committed by Catania against one or two men. One wild rumor specifically charged that he murdered two fellow Sicilians. The Italian quarter of Brooklyn, the newspaper said, was convinced that the families of the injured parties had tracked Catania to Brooklyn and avenged their relatives. Vincenzo Troia was discharged from custody on July 29. The police admitted that, while there was evidence of some bad blood between Catania and Troia, they had no evidence linking Troia to the Catania killing. 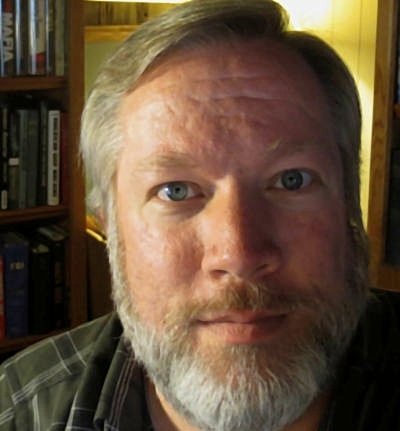 Detective Sergeant Vachris gradually came to support a version of the vendetta theory. 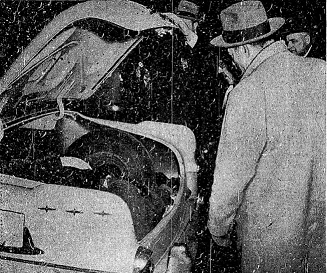 Unlike the Palermo murder rumor, the detective’s version left Catania innocent of any wrongdoing. The grocer merely testified against men charged of murder in Palermo. As a result of the testimony, the defendants were convicted and sentenced to twenty-year prison terms. They swore revenge. Fearing for his life, Catania fled to Brooklyn. Over the years, he became comfortable and forgot about the murderers he helped convict. When the two men were released from prison, they learned of Catania’s whereabouts, traveled to Brooklyn and fulfilled their vendetta. Months later, part of that theory was supported by the arrest on Brooklyn's Washington Street of recent Sicilian immigrant Liborio Laveri. Investigators learned that Giuseppe Catania had been a government witness two decades earlier when Laveri was charged with the kidnapping of a merchant in Termini Imerese, Sicily. Laveri served a long prison sentence. Upon his release, he traveled to the U.S. and reached New York just one month before Catania's murder, becoming a resident of Main and Front Streets in Brooklyn. There was no evidence tying Laveri to the murder, but he was held at the Adams Street Police Station while authorities worked to have him deported as an undesirable alien. Police interest in the Catania murder diminished over time. The case remained officially unsolved. However, the murder became a matter of intense interest to Agent William J. Flynn and his fellow Secret Service men of the New York bureau. The Secret Service had been trailing suspected members of a gang of Brooklyn and Manhattan counterfeiters for more than a decade. That gang of immigrant Sicilian Mafiosi was believed to be importing counterfeit currency within shipments of produce and olive oil from Mafia contacts in Sicily. While the Secret Service had managed to shut down some of the smaller operators in the counterfeiting ring, men who had been caught passing phony bills, it had little evidence against the suspected leaders. As the police attributed the slaying of Catania to an unknowable team of old-world assassins, Flynn developed a contrary opinion. Believing the Columbia Street shop to be one of a number of New York area groceries used to distribute phony bills, Flynn was certain that Catania was killed because of his habit of drinking and chatting socially with his Brooklyn neighbors. The grocer occasionally drank a bit too much and chatted about things others wished to keep secret, Flynn concluded. Catania’s near-beheading was an act of savage discipline administered by ruthless higher ups in the counterfeiting ring. When the corpse of a nearly beheaded murder victim turned up in a barrel on a Manhattan street the following spring, Flynn's agents recognized the victim as a man recently in the company of the Mafia counterfeiters they were trailing. Flynn announced that the same gang, led by Giuseppe Morello and Ignazio "the Wolf" Lupo, was responsible for both the "Barrel murder" and the killing of "Joe the Grocer" Catania. Flynn's suspicions were confirmed by underworld informants, and New York police noted the Catania murder in Lupo's file. However, neither Mafia boss was ever brought to trial for the killing. Critchley, David, The Origin of Organized Crime in America: The New York City Mafia 1891-1931, New York: Routledge, 2009, p. 42. Flynn, William J., Daily Reports of April 14, 19, 20, May 1, 1903, Department of the Treasury, United States Secret Service Daily Reports, R.G. No. 87, Roll 109, Vol. 9, National Archives. Ignazio Lupo criminal record, New York Police Department, Ignazio Lupo Prison File, #2883, Atlanta Federal Prison, NARA. United States Census of 1900, New York, Kings County, Ward 8, Enumeration District 100. "Police board's big detective shake-up," New York Times, Feb. 4, 1900, p. 1. "Patrolmen offer protests," New York Times, Feb. 6, 1900, p. 9. "Band of assassins murdered Catania," Brooklyn Daily Eagle, July 24, 1902, p. 1. "Boys find a man's body sewn in a sack," New York Times, July 24, 1902. "Brooklyn police suspect an Italian of concealing murdered victim in a sack," New York World, July 24, 1902, p. 3. "No clew to the slayers of the man in the sack," Brooklyn Daily Eagle, July 25, 1902, p. 2. "Murder due to vengeance it is believed," New York Press, July 25, 1902, p. 3. 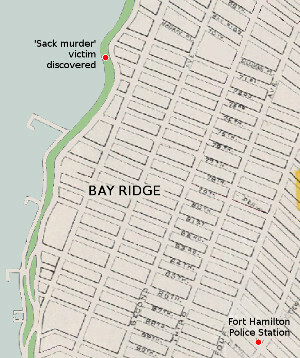 "Body found sewed in a sack identified," New York Times, July 25, 1902, p. 14. "Arrest in sack murder," New York Tribune, July 25, 1902, p. 2. "Old vendetta in Sicily behind Catania killing," Brooklyn Daily Eagle, July 26, 1902, p. 18. "Bay Ridge murder mystery," New York Times, July 26, 1902. "No proof that Troyia murdered Catania," New York Times, July 27, 1902. "May be a victim of a vendetta," New York Tribune, July 27, 1902, p. 3. "No clew to sack murder," Brooklyn Daily Eagle, July 29, 1902, p. 16. "Catania fled from vendetta," New York Herald, July 31, 1902, p. 5. "Clew for sack murder found," New York Tribune, July 31, 1902, p. 4. "Trica returned to Sicily," Brooklyn Daily Eagle, Oct. 5, 1902, p. 5. "Palermo police trying to solve Catania mystery," Brooklyn Daily Eagle, Oct. 5, 1902, p. 5. "Catania's slayer may yet be caught," Brooklyn Standard Union, Oct. 5, 1902, p. 1. "Unlucky Catania a witness," Brooklyn Daily Eagle, Dec. 5, 1902, p. 3. "Former brigand caught here," New York Press, Dec. 6, 1902. "May have been killed for spite," New York Tribune, Dec. 6, 1902, p. 4. "Slain man in a barrel; may be a Brooklyn crime," Brooklyn Daily Eagle, April 14, 1903, p. 1. "Coiners' gang killed him," New York Sun, April 14, 1903, p. 1. "Eight Sicilians held for barrel murder," New York Times, April 16, 1903, p. 1. "Like the Catania murder," Brooklyn Daily Eagle, April 17, 1903, p. 15. "Desperate gang held in murder mystery," New York Times, April 17, 1903, p. 3. “Barrel murder mystery deepens,” New York Times, April 20, 1903, p. 3. 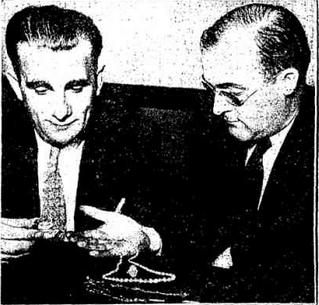 "Anthony F. Vachris dies; retired peer of detectives," Brooklyn Eagle, Jan. 6, 1944, p. 11.